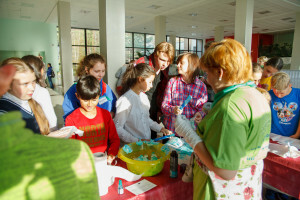 A number of entertainments and educational activities including lecture-quiz “Secrets of the Baltic Sea”, master-class “I am painting the sea” and game “Sea that is close” attracted school children, made them work closely together and helped to inspire their interest to environment. Teachers were involved in workshop on instrumental methods of studying wildlife. It introduced teachers with mobile education centre tools, various online programmes, materials and applications for smart phones and tablets. After an information session indoors, the teachers were welcomed to explore an ecotrail “Walking through the pine forest”. 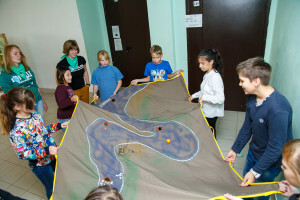 In addition to positive emotions participants of quiz and workshops got a possibility to receive a variety of prizes, including literature items and research tools for studying and exploring the nature. 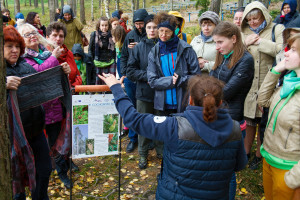 ECDay celebrated within three cross border cooperation programmes – the Estonia-Russia, Estonia-Latvia-Russia and Latvia-Russia CBC Programmes in close cooperation with St. Petersburg charitable organization “Biologists for nature conservation” (Russia) – partner of the project of Estonia-Latvia-Russia Programme “People with Nature”. This year the focus put on raising awareness of environment protection and nature exploring among school children and general public at large. 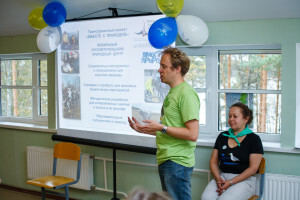 Event in Russia carried out in the form of diverse activities for the children, practical workshop and outdoor sessions for the teachers.